Brachytherapy plays an important role in the treatment of cervical cancer. Japan is a pioneer of high-dose-rate brachytherapy for cervical cancer and has made great contributions in the establishment of optimal therapy for this disease over the course of five decades. Japanese institutions have recently conducted several clinical studies of three-dimensional image-guided brachytherapy. Based on these experiences, several Japanese institutions have conducted international cooperative activities on radiotherapy for cervical cancer with other Asian countries for over 20 years. FNCA - Forum for Nuclear Cooperation in Asia. Available at: http://www.fnca.mext.go.jp. Accessed on 1 Oct 2017.
International Agency for Research on Cancer. GLOBOCAN 2012. Estimated Incidence, Mortality and Prevalence Worldwide in 2012. Available at: http://globocan.iarc.fr/. Accessed on 1 Oct 2017. The south east Asian radiation oncology group - SEAROG Available at: http://www.searog.net/. Accessed on 1 Oct 2017. Federation of Asian Organizations for Radiation Oncology – FARO Available at: http://faroac.org/. Accessed on 1 Oct 2017.
International Atomic Energy Agency The Regional Cooperative Agreement for research, development and training related to nuclear science and technology for Asia and Pacific - IAEA/RCA Available at: https://www.iaea.org/technicalcooperation/Regions/Asia-and-the-Pacific/RCA/. Accessed on 1 Oct 2017. 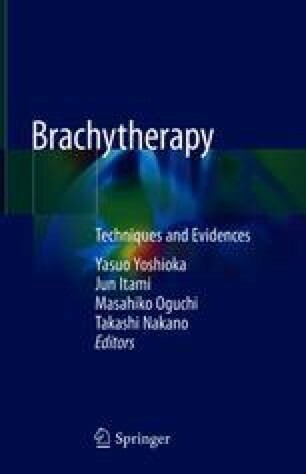 The Transition from 2-D Brachytherapy to 3-D High Dose Rate Brachytherapy Available at: http://www-pub.iaea.org/books Accessed on 1 Oct 2017.